New Delhi: The President of India, Shri Ram Nath Kovind, inaugurated the Global Clubfoot Conference being organised by the CURE India in partnership with the Ministry of Health and Family Welfare, Government of India, in New Delhi today (November 1, 2017). Speaking on the occasion, the President said that clubfoot is one of the most common orthopaedic birth defects. It can cause permanent disability if not treated early. This affects the child’s mobility and confidence. Inevitably, education and schooling suffer – and the child cannot fulfil his or her potential. 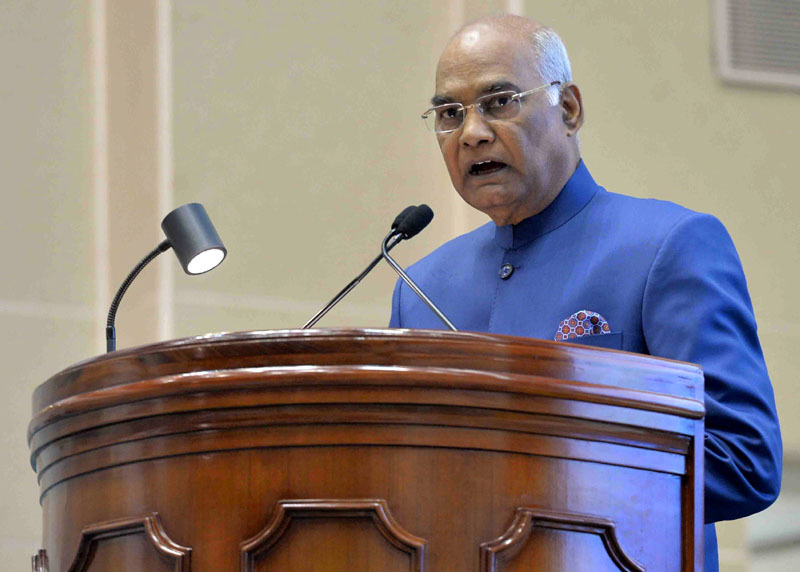 The President said that in India the burden of disability affects more than 10 million people. The differently-abled or Divyang as we call them deserve equal opportunities in all avenues of life. Mainstreaming their social and professional experience is a commitment for all of us. Having said that, many of these disabilities are preventable or curable – which is often forgotten. Prevention, treatment and mainstreaming have to go in parallel. The President said India is proud to have eradicated new cases of poliomyelitis. Polio was once a serious cause of loco-motor disability, but over the past six years we have not had a single case of paralytic poliomyelitis. This has been a major milestone in the history of public health not only in India but globally. It must motivate us to work towards eliminating other disabilities and other diseases and take on the challenge of clubfoot. The President said he was happy to note that public hospitals are partnering with CURE International India to reach out to as many children as possible. The programme is now active in 29 states of India. He stated that despite these successes, we cannot ignore that at the current rate only 8,000 fresh cases are brought into the ambit of treatment every year. This is a small number if one considers the 50,000 children who are born annually in India with clubfoot. In 2022, India completes 75 years of its Independence. It should be a national resolve that by then every child born with clubfoot gets access to treatment services as soon as the condition is diagnosed.